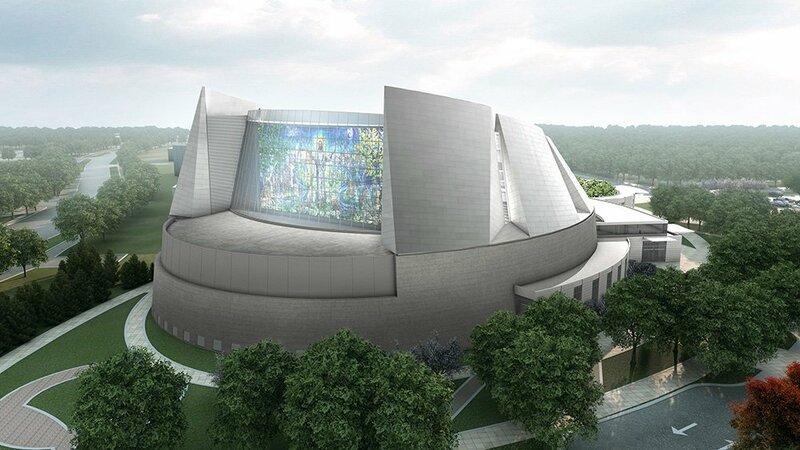 The first phase of the United Methodist Church of the Resurrectionproject involves construction of a new 140,000 sq. ft. structure. The main sanctuary is surrounded by seven “sails” and full-height glazing highlighting the 3,500 sq. ft. art glass wall. The building plan is based on several ellipses forming the geometrical basis for the sloped walls and structural framing. Several SCIA Engineer models were used to analyze and design various components and structural systems. 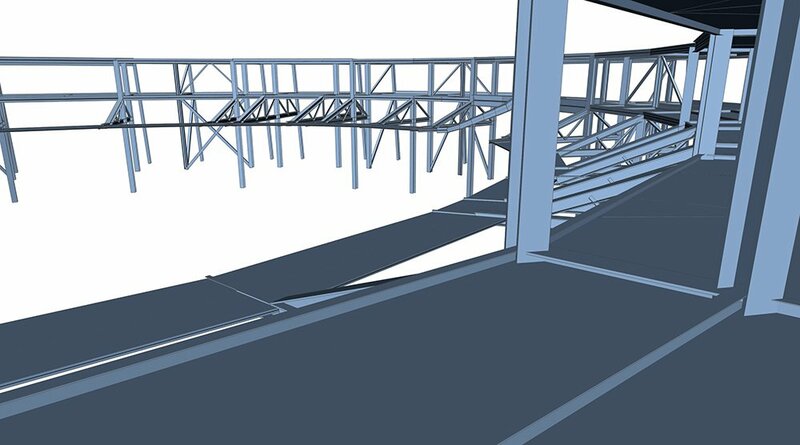 The “lateral” model contained the necessary elements and loading required to analyze the building for lateral loads. Scia Engineer’s ability to easily copy and paste data into the data tables was used extensively to input the design wind load pressures for the many possible wind cases. 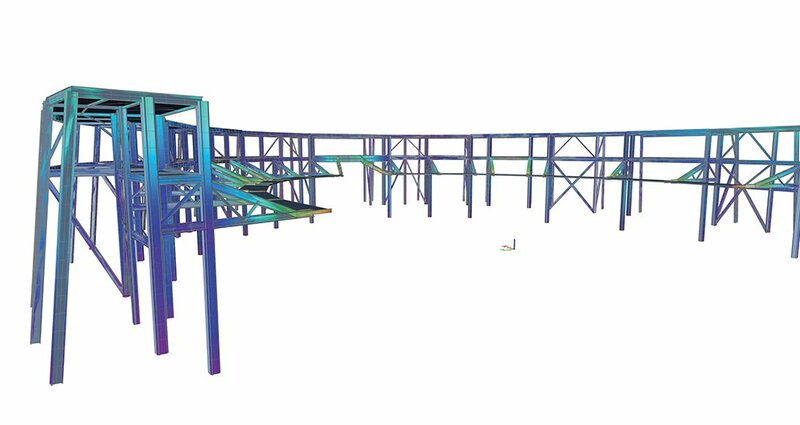 The “balcony” model contained components necessary to perform a dynamic analysis to verify that vibration serviceability requirements were met in addition to code-based strength limits. 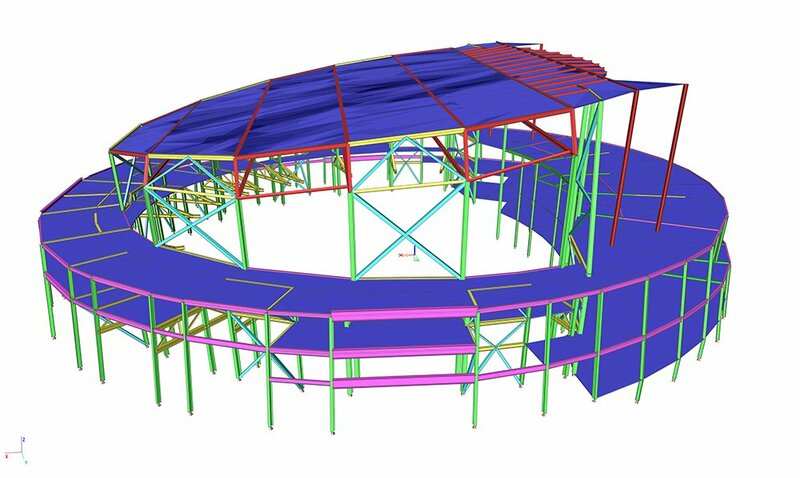 Parameterizing the roof truss depth enabled us to quickly optimize the roof truss design at early design stages. The elliptical grid layout, sloped walls, sloped roof and overall building shape created several design challenges.